This year, all overnight lodging in Portsmouth will be at the SOMC Friends Center located at 1202 18th Street Portsmouth Ohio 45662. 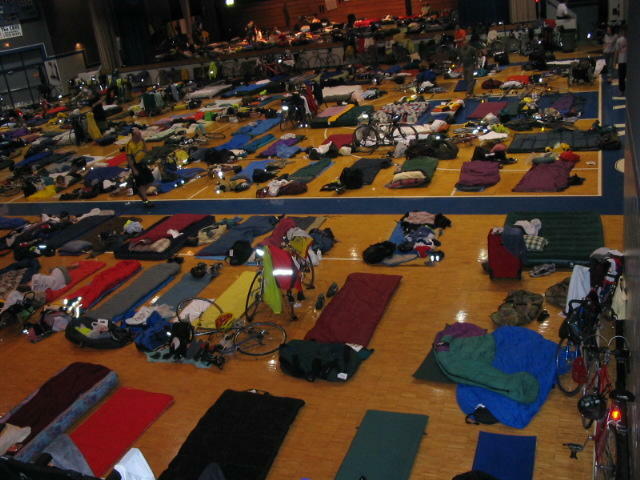 The facility has ample showers and carpeted floors to sleep on and is one mile from the festivities at Tracy Park. A $10 breakfast option (meat and vegetarian burrito wraps, coffee) will be offered at the center, benefiting the Scioto County Health Coalition. Camping is available across the street in the green space (look for the signs). Riders are responsible for making their own reservations for all options shown below including transportation*. Shuttle will be available if more than 9 riders need it. You’ll store your bike at the SOMC Friends Center. Call Stacie and be sure to let her know you’re a TOSRV rider to get the special room rate.